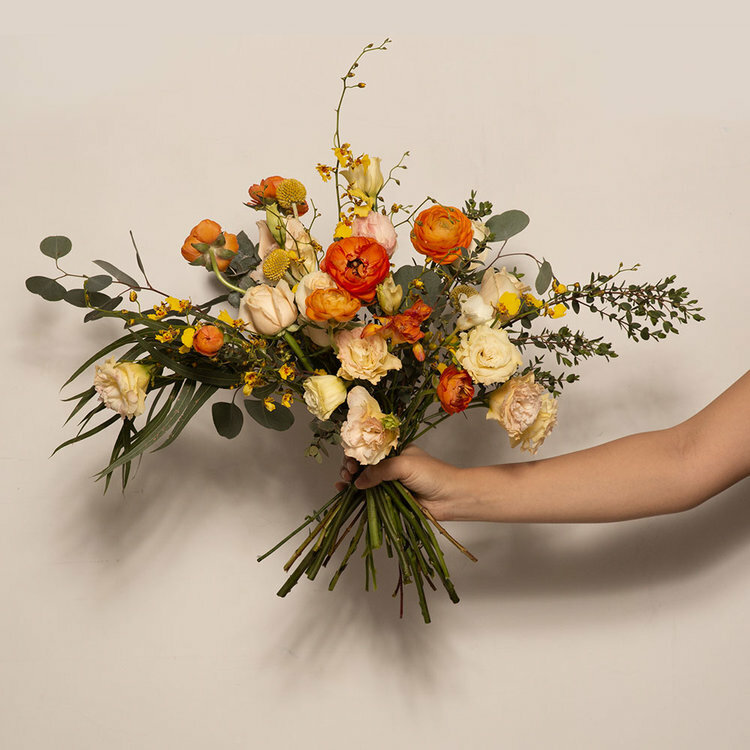 To celebrate the start of spring we’ve introduced a new bouquet, April’s Gold. The bright colour palette of orange, yellow and peach of this uplifting bunch is the perfect way to toast the new month. Inspired by the greek mythology of the golden fleece, according to legend the golden fleece of the Aries ram was the object of desire for Jason and the Argonauts’ quest. Aries is the astrological sign for people born between 1st -20th April and it’s the first sign in the zodiac. In the greek tale, King Athamas of Boeotia took a new wife, Ino, after his first wife, Nephele, died. Ino hated her new step-children, Nephele's twins, Helle and Phrixus. In an evil plan, Ino sabotaged the harvest in order to cause a famine and she bribed an oracle to tell the people the only way to prevent the famine was to sacrifice Phrixus. Just as King Athamas of Boeotia was about to sacrifice his son Phrixus, Nephele’s spirit sent a ram to earth to rescue Phrixus and take him to Colchi. In order to show his gratitude, Phrixus sacrificed the ram and gave the golden fleece to King Aeetes of Colchi, in return the king agreed to let Phrixus marry his daughter Chalciope. Nephele placed the image of the ram among the stars, and the Aries constellation continues to appear in the night’s sky. After Phrixus died his ghost returned to Greece to haunt his cousin Pelias, who seized the throne of Iolcus in Thessaly, however the throne’s true successor was Jason. 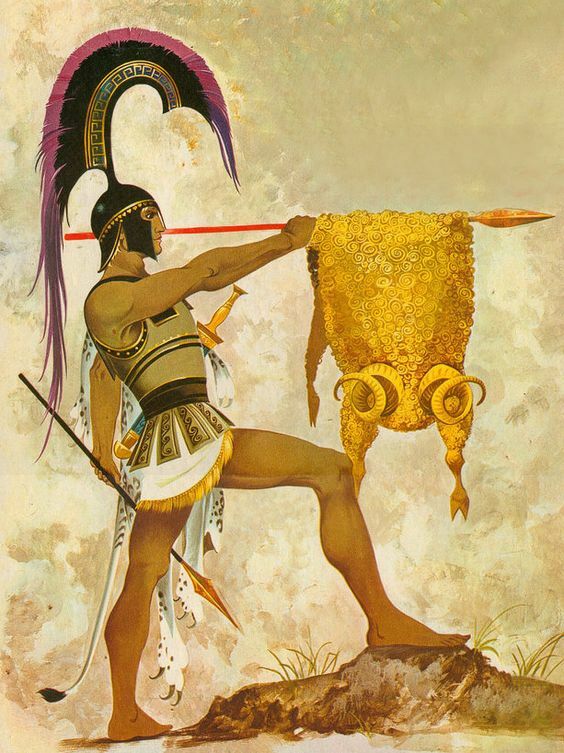 Pelias promised to give up the throne to Jason, if he brought him the golden fleece from Colchis. This was the quest that led to the epic voyage of Jason and the Argonauts. In Chinese culture, yellow is seen as the most beautiful and prestigious colour, it was the emperor’s colour of choice in Imperial China. The colour is often used to decorate royal palaces, altars and temples, and it was used in the robes and clothing of the emperors. It represents harmony, happiness and glory. There is an old Chinese saying ‘ yellow generates yin and yang’, meaning that the colour yellow is at the centre of everything.